She's Fantastic: Marvel Legends - JUBILEE (90s)! Marvel Legends - JUBILEE (90s)! I think one of the cruelest stunts pulled by Hasbro in the past decade was releasing a core character like Jubilee as an impossible-to-build BAF in the 2015 X-Men Legends wave. Of course, that figure was in her modern look with a black bodysuit, so demand for this classic 90's look was still at the top of everyone's list. And because this particular figure has been so in-demand, I am pretty critical of the final execution. I have several issues with this figure. Overall, she is great, but given the patience and high expectations of the collectors, I was kind of expecting perfection (which honestly most Marvel Legends figures these days are). I will detail all my gripes below. 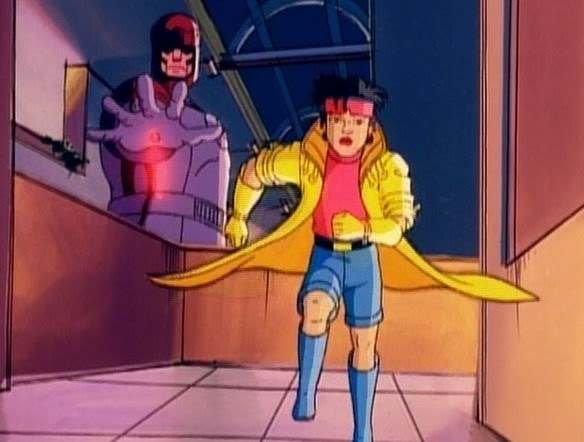 Jubilee was introduced in the late 80s as a youthful addition to the X-Men. She was basically an updated version of Boom Boom put into Kitty Pryde's old role. 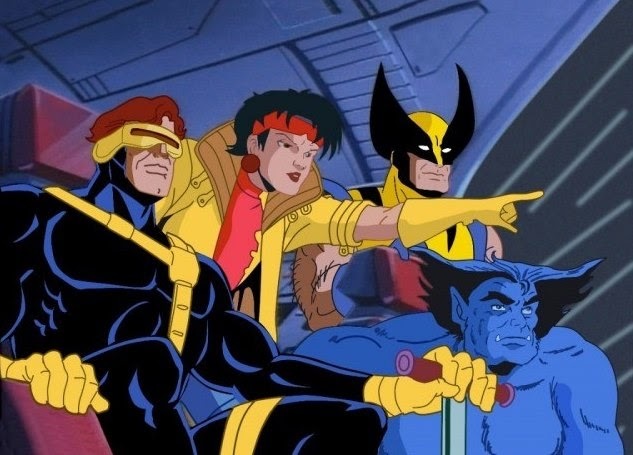 She was a well-received character in the comics, but her popularity really exploded three years later when she was a focal point of X-Men the Animated Series and she's been A-list ever since. Fun fact, there was an early iteration of this character in New Mutants Annual #2 from 1986. In this issue, the character Darla from the Fatboys (from the Longshot limited series) temporarily gains the familiar fireworks power and goes by the name Jubilee. (And Chris Claremont was at the helm for both characters). The funny thing is, Psylocke was introduced in this same issue and my confused young brain thought Darla and Betsy were the same girl, and therefore I thought Psylocke and Jubilee were the same. 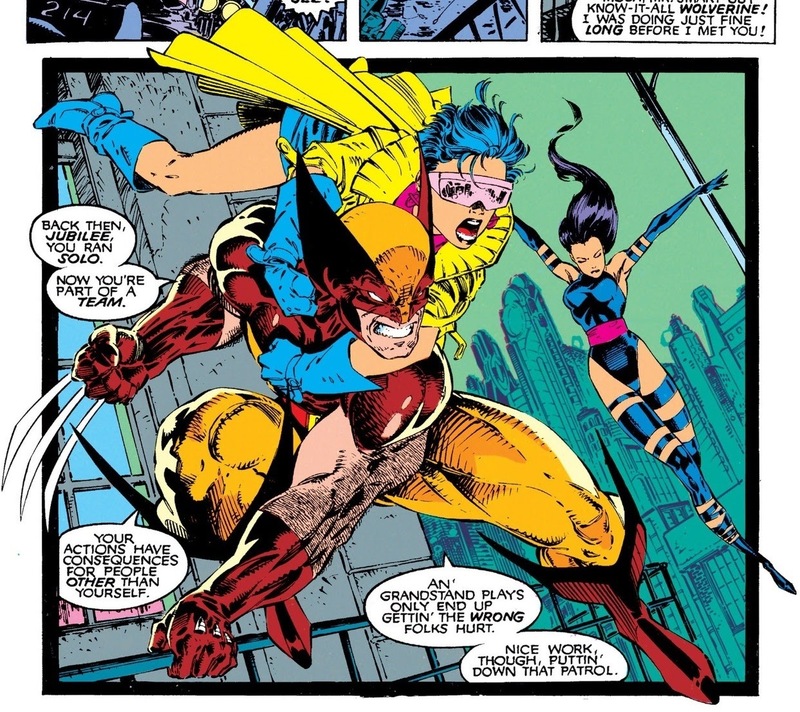 Then of course Psylocke became Asian like Jubilation and I got confused all over again. Luckily all the X-Men histories are perfectly clear to me now. Someone should invent a font for sarcasm. My first gripe about this figure is that her standard head looks so angry. She looks like she's snarling with a furled brow. This is a far stretch from the quirky troublemaker we all know and love. My second gripe is that her forearms are blue plastic painted to match her flesh. Right out of the package I could see blue peeking through at the elbow joint. A lot of figures have this affliction, but it's still worth mentioning. Jubilee comes with an alternate bubble-blowing head and removable goggles (The standard head has goggles that are glued on tight at the temples. I tried to pop them off with an Xacto and they wouldn't budge). My figure actually came with two pairs of the removable goggles stuck together. I don't know if this is intentional or if I just got lucky. My next big gripe is that she comes with no power accessories. Even something like the Dazzler or Dagger effects (re-scaled for these smaller arms) would have been better than nothing. I feel like her powers are such a big part of her identity, even her name, that failing to include any accessories seems like a big mistake. I love the bubblegum head. The sculpt and paint remind me of the Silk head - which is one of the best looking comic-based Legends sculpts in years imo. So, yes, the goggles can be worn on her head, but they look pretty stupid stretched over her hair. Jubilee comes with Caliban's torso. I think the biggest flaw in this figure is that her rear neck joint is hideously exposed. The previous modern Jubilee figure had hair that came down to a natural hairline. It's hard to show in these photos, but the glued-on googles on my standard head have a handful of tiny bubble imperfections - right in front of her eyes, too. (That's why I tried to pop them off with an Xacto in attempts to replace them with my bonus goggles). With no power accessories to pose her with, I was challenged with making her look like an apathetic mallrat. It's harder than it looks. My final frustration about this figure is her stubborn ankles. They are the type of joints that move in increments like a gearshift rather than smooth motion where they can be posed at any angle. This makes her pretty difficult to stand. Don't take my complaints too seriously, she's still a great figure and I'm so excited to have her. Here is Jubilee with her 2015 modern version. In case anyone was thinking about swapping heads, their neck pegs are completely different sizes. And here she is with her wave-mate, Blink. Yeah - that Jubilee BAF from a few years back was a bad move by Hasbro. Nice to see her again, despite the flaws.